Drop Bollard at Edmondscote Field. New measures have started to be installed at green spaces and parks in the Warwick district to try and prevent travellers encampments. Warwick district council recently approved a budget of just over £170,000 to improve the security of car parks and open spaces across the district, to prevent unauthorised gypsy and traveller encampments. Steel Knee Rail at The Holt. Work has now been completed at 16 sites, which has included installing timber trip rails, drop bollards as well as new gates and locks. Work is also planned at more of the council’s sites over the coming months. There has been ongoing issues with travellers across the district but in the last few weeks travellers have set up camps in Chase Meadows and the Woodloes in Warwick, Bates Memorial Ground in Kenilworth, Eagle Recreation Ground in Leamington, Redland Recreational Ground and land off Othello Avenue in Whitnash and Avenue Road Recreation Ground in Lillington. New drop bollards and locks have been installed at Eagle Recreation Ground and Edmondscote Road and trip rails have been installed at The Holt, Cumberland Crescent and Sydenham Central. Timber Trip Rail at Calder Walk. According to the council future work is planned for a number of other sites including St Nicholas Park, Redland Recreation Ground and Mason Avenue, Victoria Park, Hatton Park and Myton Fields, which includes new locks, steel drop bollards and trip rails. 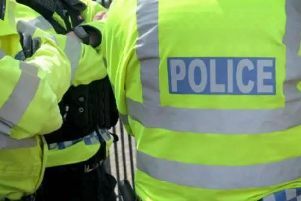 In addition, there has been a county-wide review of how the police, county and district councils can work together more efficiently to tackle unauthorised encampments as quickly as the law will allow. This has led to a new protocol outlining how agencies can be more responsive. Cllr Peter Phillips, Warwick district council’s portfolio holder for housing and property, said: “We have put this programme of work in place as a matter of priority to address the concerns of our residents and I am pleased to see that we are making good progress with it. “We are also reviewing the schedule regularly, so that we can react to any urgent requirements resulting from recent unauthorised encampments in the district.